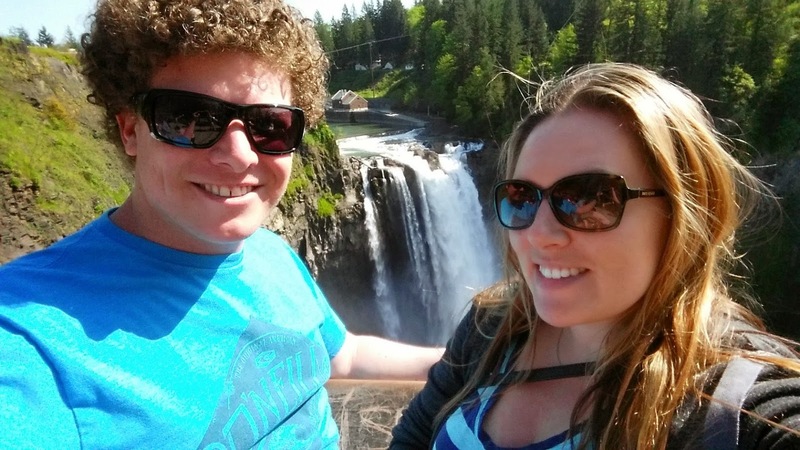 I love easy day trips from Seattle, especially when you get to see something cool like a waterfall. Snoqualmie Falls is about 45 minutes west of Downtown Seattle, and gets an average of 1.5 million visitors per year. Chad has never been there (he’s semi-new to Seattle) and I figured it would be a good daytime activity. The trail is very easy, if you can even call it a trail. Essentially, it’s about a 1.4 mile loop to view the waterfall. We visited on a Saturday, and it was pretty busy, but we were still able to get a good view of the stunning 268 foot waterfall (we just had to wait a few minutes for some of the tourists to dissipate). Along the trail there are many plaques where you can read about the region, the plant life, and the history of the area (things like the meaning of Snoqualmie – it means moon). If you keep walking on the trail, past the gift shop, you can take a short gravel trail to the bottom. There were WAY too many people on the trail this specific Saturday, so we opted out. 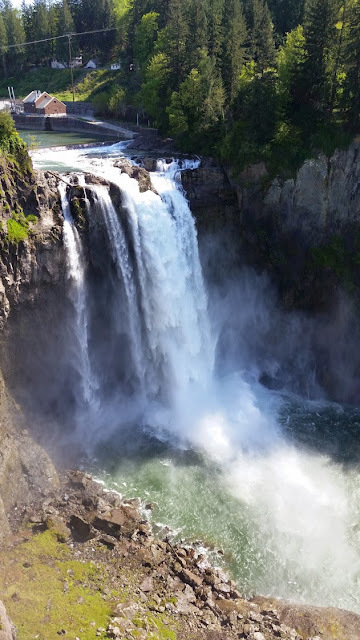 If you’re visiting Snoqualmie Falls, parking is free but limited on the falls side. You will probably have to park across the street and walk down a hill (and then back up that hill). Watch out for tourists and if you have some extra time, check out the weekend brunch at Salish Lodge (and when you make a reservation, request the seats that overlook the waterfall). Also, the falls were pretty low the day we visited, due to our warm winter. Usually they are roaring from spring run off this time of year. If you’re looking for a more intense waterfall, check the flow chart here.